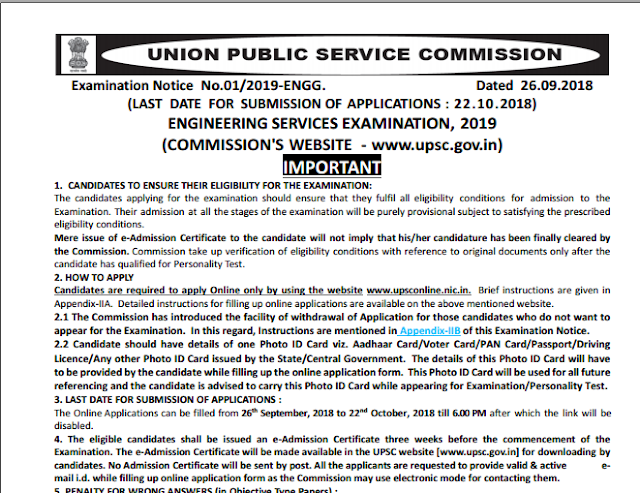 The Union Public Service Commission (UPSC) on Wednesday issued a notification announcing examination dates and procedure for filling up applications for engineering positions in various departments of the central government. Approximately 581 posts in 1) Civil Engineering 2) Mechanical Engineering 3) Electrical Engineering 4) Electronics & Telecommunication Engineering categories would be filled through the examination. The last date to apply for the examination is October 22 till 6pm. Aspirants are required to check eligibility conditions and instructions before applying for the exam, exclusively through the website www.upsconline.nic.in.